Email WWW@jaxhistory.com to be placed on the Wait List. You are invited to experience our best bus tour ever. It is so richly packed with art and architectural splendor, we are calling this "The Mega-Tour 2017." This 2-day, 1-night tour will take place on Saturday-Sunday, March 18-19, 2017. We would love to have you go with us on this special roadtrip aboard the Magic Bus! admissions, luxury motor coach transportation, guided tours, taxes, tips, Saturday lunch, Sunday breakfast, and beverages and refreshments on the bus. It does not include Saturday supper, Sunday lunch, or alcoholic beverages. We will leave Jacksonville Saturday morning March 18 at 8am and return Sunday evening March 19 around 5:15pm. Please note that some parts of this tour are not handicapped accessible, and moderate walking is required. most interesting people in the Jacksonville arts community, and your presence would add much to our rolling party on the "Magic Bus". Please come if you can! 7:30 am - Bus loading at McIver Clinic parking lot, 710 Lomax Street, Jacksonville, FL. 8am - Bus leaves for Florida Polytechnic University in Lakeland, FL. 11am - Arrive Florida Polytechnic University. Guided tour of the campus. 12:30pm - Depart Florida Polytechnic University. Travel to Florida Southern College in Lakeland. Box lunch from Biscottis in transit. 1pm - Arrive Florida Southern College. Guided tour of the campus. 4pm - Depart Florida Southern College. 5:15pm - Arrive at the Radisson Resort Hotel in Celebration, FL for overnight stay. Enjoy the pool and other resort amenities. Dinner on your own, with 16 restaurants with walking distance. 9am - Depart Radisson for Winter Park, FL. 9:30am - Winter Park Sidewalk Art Festival. Also enjoy Winter Park's famous Park Avenue shops and restaurants. Lunch on your own at the festival's food court & beer garden, or Park Avenue. 5:15pm - Arrive back at the McIver Clinic parking lot in Jacksonville. In 1938, the Florida Southern College president, Dr. Ludd M. Spivey, approached Wright with the task of transforming the 100-acre lakeside orange grove into a modern college campus. 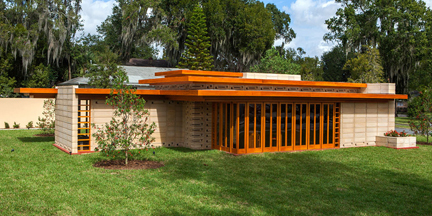 The collection of Frank Lloyd Wright Architecture at Florida Southern College is called "Child of the Sun." The name for the architecture came from Wright’s idea of removing the "uninspired" buildings of the pre-existing campus and replacing them with a campus that would, according to Wright, "grow out of the ground and into the light, a child of the sun. Sharp Family Tourism and Education Center, also known as the Usonian House, a visitor center and exhibition space constructed according to Wright's 1939 designs and completed in 2013. It is one of the "newest" Frank Lloyd Wright Buildings in the world. 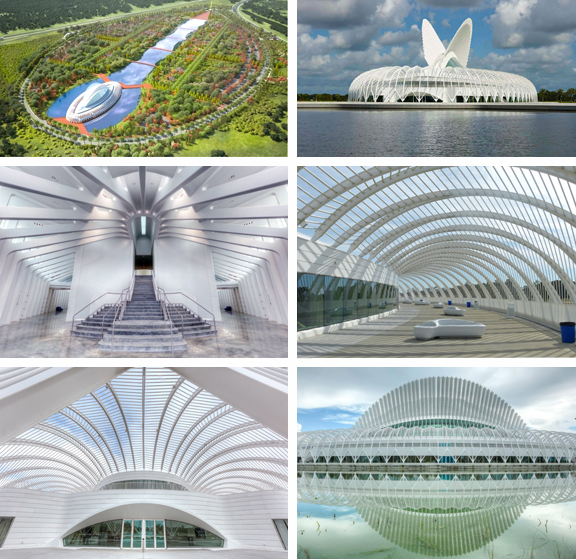 "Structural ingenuity meets visual intrigue in the work of Santiago Calatrava, the Spanish architect, engineer, and artist known for devising edifices and bridges so dynamic they seem ready to take flight." Anchoring the Florida Polytechnic University campus near Lakeland, Florida is Calatrava's 200,000-square-foot Innovation, Science and Technology (IST) Building, a dazzling feat of design wizardry that was unveiled in August, 2014, after two years of construction. An ethereal pergola of powder-coated aluminum surrounds the elliptical stunner, forming a ring of partially shaded outdoor space while reducing the solar load on the interiors by some 30 percent. More striking still is the roof, which features 94 robotic louvers. These elements can be automatically raised or lowered in response to the movement of the sun, optimizing light in the glass-topped meeting hall below. Reminiscent of flapping wings, the crown is mirrored in the reflecting pool that encircles the building, creating an exquisite moment of symmetry that offers further proof of Calatrava’s powerfully poetic touch. 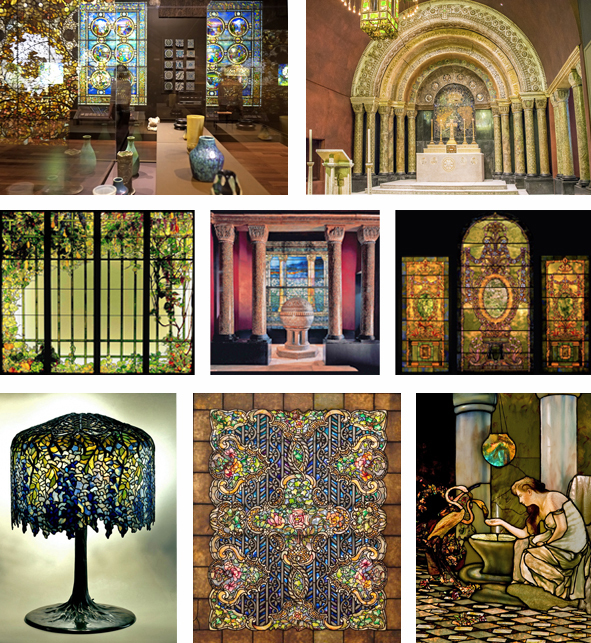 Louis Comfort Tiffany, one of the most creative and prolific designers of the late 19th-century, declared that his life-long goal was “the pursuit of beauty.” With its comprehensive assemblage of Tiffany’s work, the Morse Museum’s collection uniquely documents that quest. Although his father, Charles Lewis, had founded the most prestigious silver and jewelry company in America, Louis chose another professional direction. The Morse Museum was founded by Jeannette Genius McKean (1909–89) in 1942 and named for her grandfather, Chicago industrialist and Winter Park philanthropist Charles Hosmer Morse. Its collections were built over a half-century by Mrs. McKean and her husband, Hugh F. McKean (1908–95), the Museum’s director until his death. The museum is just a 5-minute walk from the Winter Park Sidewalk Art Festival. Voted "America’s Best Juried Fine Art Fair," the Winter Park Sidewalk Art Festival is one of the nation’s oldest, largest and most prestigious outdoor art festivals. It is also ranked the #1 Best Fine Art and Design Show in the southeast and #5 in the Nation by Sunshine Artist Magazine, 2014. The Festival extends for four city block through Central Park, and it draws more than 350,000 visitors each year. For 2017, more than 1,100 artists from around the world applied for entry. An independent panel of three judges selected the 225 artists exhibiting their works. Artists complete for awards totaling $72,500. The Radisson Resort-Celebration is situated on 20 lushly landscaped acres, our full-service resort will captivate leisure and business travelers with well-appointed accommodations, unparalleled service, and an extensive array of amenities. The guestrooms feature two double beds with divine duvets and modern conveniences like 37" HDTVs, refrigerators, and complimentary Wi-Fi. Inviting amenities include restaurants, two outdoor swimming pools, a poolside bar, two hot tubs, a fitness center, two tennis courts, two basketball courts, a volleyball court, and a business center. 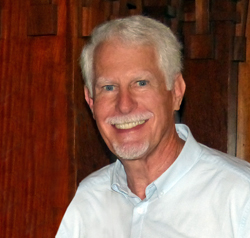 Dr. Wayne Wood is the organizer of this tour and has previously led a number of trips for Jacksonville residents to unusual, arts-related places throughout the Southeast. A noted author, speaker, artist, historian, and self-proclaimed "arts agitator," Wayne has published thirteen books on Northeast Florida's history and architecture and for many decades has been a leader in Jacksonville's historic preservation movement. His books include the award-winning best seller, Jacksonville's Architectural Heritage, as well as the 430-page Jacksonville Family Album: 150 Years of the Art of Photography, which many consider to be one of the most beautiful books about Jacksonville ever published. Wayne's interest in art and architecture, combined with his inquisitiveness about the historic past as well as the avant garde, led him to become a true architraveler. 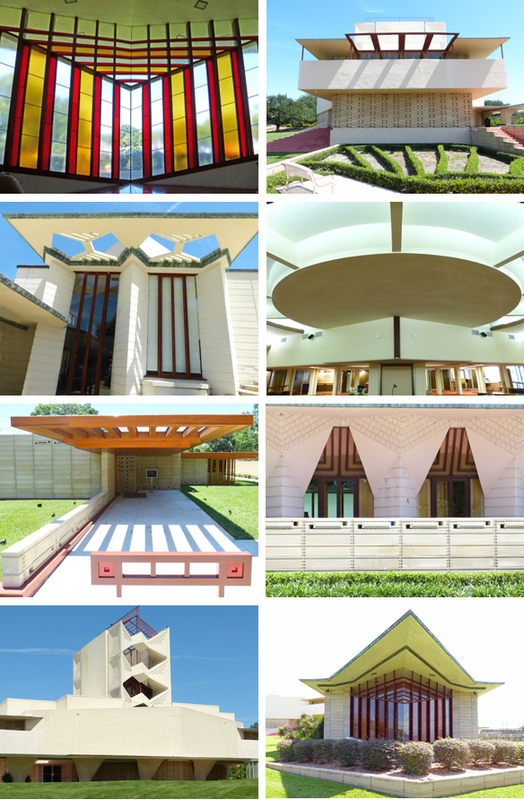 He has visited over 100 Frank Lloyd Wright buildings, as well as architectural wonders in 27 different countries around the world. Folio Weekly called him "the most interesting man in Jacksonville."